Posted by Joan Brasher on Thursday, December 21, 2017 in Early Childhood, Secondary Education. From acting out to reaching out, children and teens cope with stress in a variety of ways with varying results. A comprehensive Vanderbilt University study published in the high-impact journal Psychological Bulletin outlines which coping strategies work best. 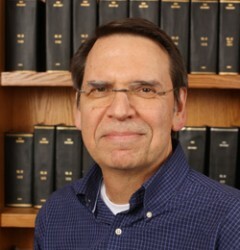 Bruce Compas is lead author of the landmark research, a meta-analysis of more than 200 coping and emotion regulation studies that included more than 80,000 young people. He says learning effective ways to manage stress is especially important for children. Compas is a Patricia and Rodes Hart Professor of Psychology and Human Development at Vanderbilt’s Peabody College of education and human development. For the purposes of the study, common coping strategies were divided into five categories: problem solving; emotional suppression; cognitive reappraisal; distraction, and avoidance. Compas and his team measured the affect of these strategies on the subjects’ internalized symptoms like depression, anxiety and loneliness, and external manifestations of stress like antisocial behavior and aggression. These findings echo what Compas has learned through his longitudinal studies of children coping with cancer and other chronic pediatric conditions. Whether a child or teen’s stress is triggered by anxiety about a new school or something far more serious, Compas says parents can play a key role in helping them manage their stress successfully. Make time to listen to your child and let them share with you the stresses and challenges they are facing. No need to give any advice at first, just listen and let them share what they are struggling with. Think out loud with your child about how you have coped with similar situations in the past or how you might cope with the situation if you haven’t faced a similar stressor in the past. Encourage your child to make a plan and then follow up in a day or two. If the first plan doesn’t seem to help, think it through together and try another plan until either the problem has changed or your child has been able to accept the problem and adapt to it. Read Bruce Compas’ study, “Coping, Emotion Regulation and Psychopathology in Childhood and Adolescence: A Meta-Analysis and Narrative Review,” in Psychological Bulletin. The research is supported by the National Institute of Mental Health. This story originally appeared on Research News @ Vanderbilt.